We are a caring, compassionate company with a growing global presence helping our clients’ trade, grow and prosper. 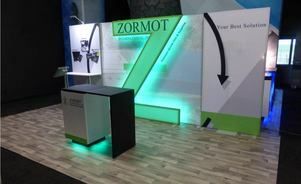 Our designs are created to execute brand objectives set by our clients during Discovery Meetings. Discovery Meetings are conducted to learn about your company, industry, and exhibiting needs as a whole. We begin by learning about how you do business. We listen intently to determine your aesthetic and functional needs and to understand your brand objectives. We then create a custom design aimed at fulfilling those aspirations. 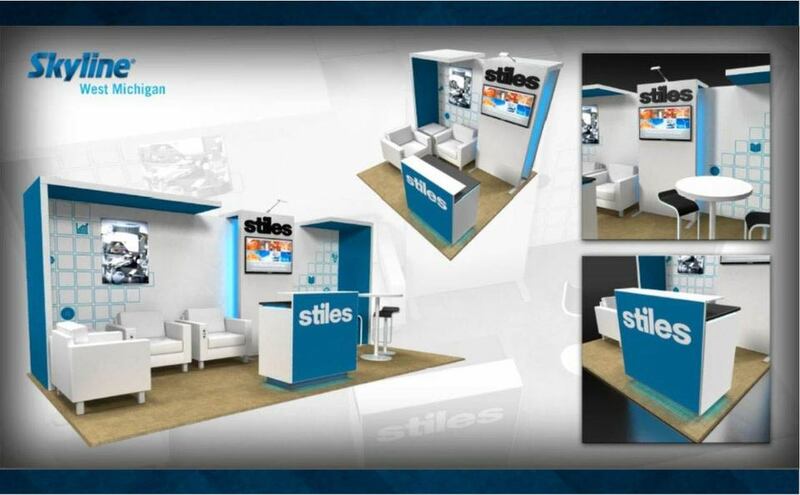 Skyline’s products are designed with unparalleled qualities that create beautiful exhibits while saving you time and money. 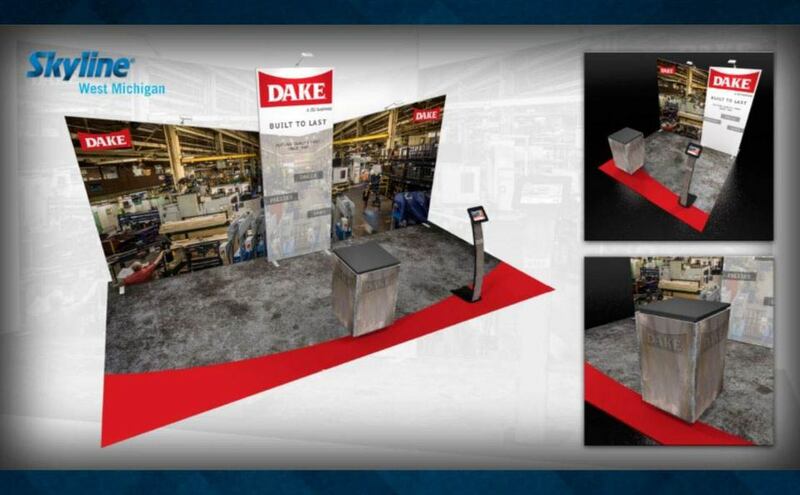 Our displays pack tightly, weigh less, and set-up easier than conventional custom built exhibits. As a result, you save money on shipping, material handling, and installation & dismantle services. Do it yourself. 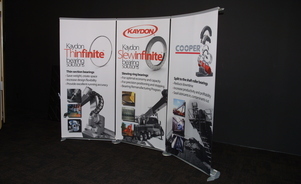 Skyline’s portable displays are designed for a quick and easy set-up while still creating a big impact. 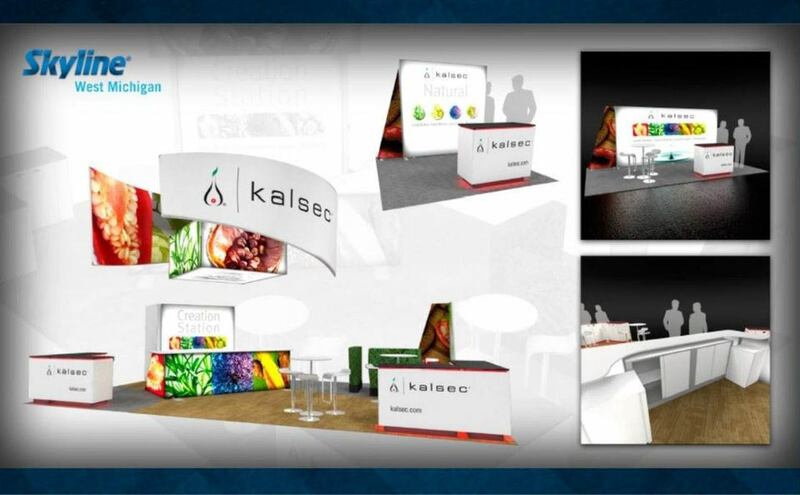 These portable systems and modular accessories represent your brand and maintain integrity while being affordable and quick to assemble. Custom look, reconfigurable design. 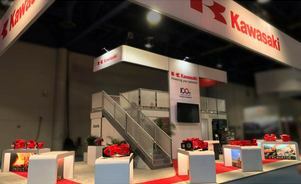 Modular inline exhibits offer a high level of structural support while minimizing weight and crate size. 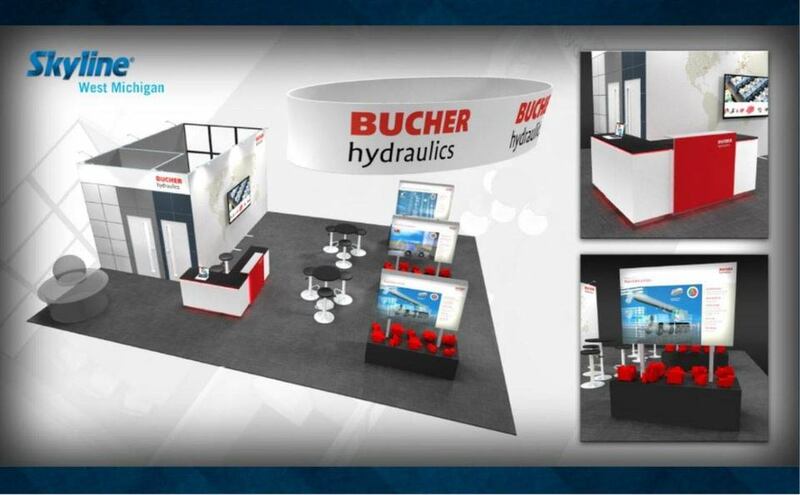 Modular exhibits can be reconfigured to fit a wide range of booth sizes or to completely change the display look and feel. Best of all, they are also available to rent! While still rentable, island exhibits are even more customizable. Island’s represent your brand in the biggest way with a major impact. 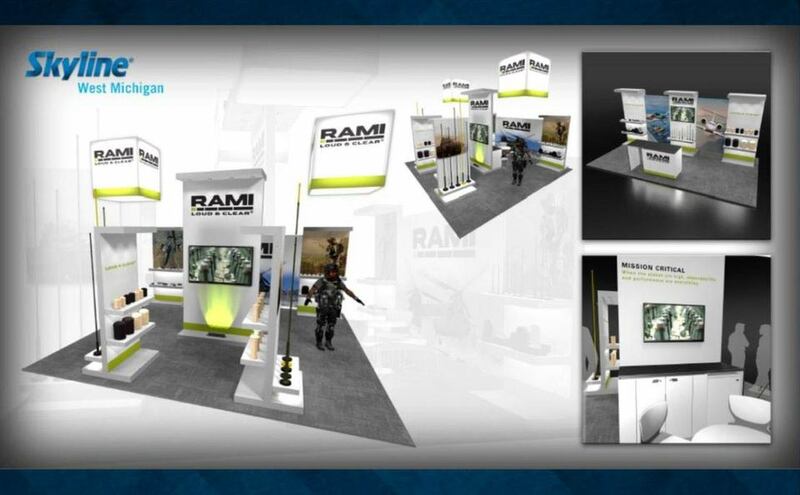 From hanging graphics to two story displays, there is no limit to the ways our island exhibits can be configured. Whatever the size or need, we can design and build it. 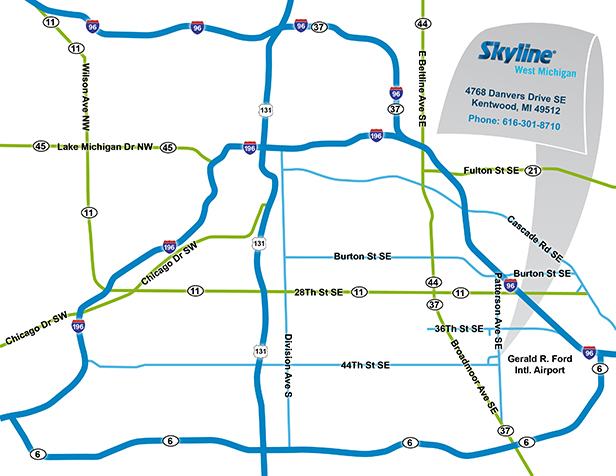 No matter your scope or scale, Skyline has the services and products to accommodate your business.